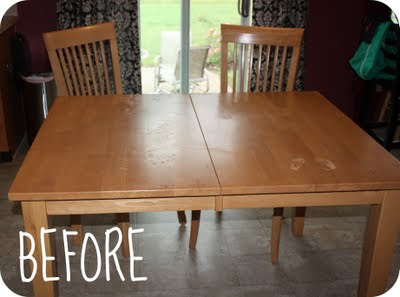 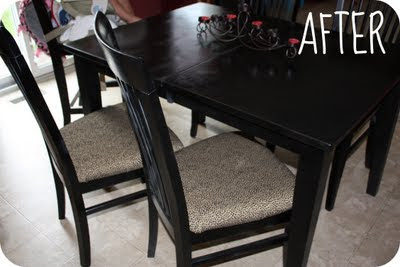 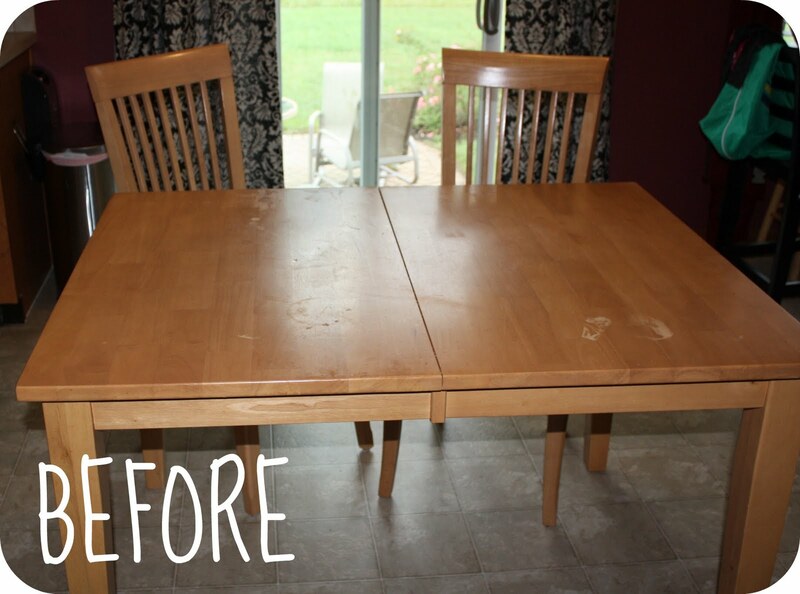 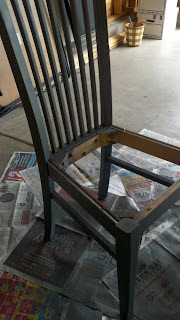 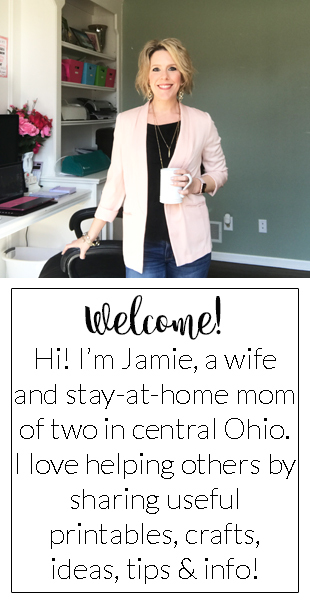 This weekend, I decided it was time to update our kitchen table & chairs! 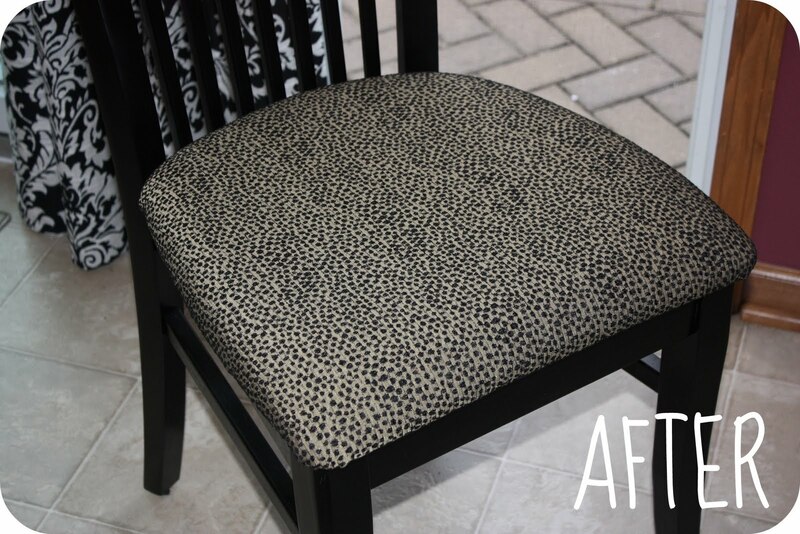 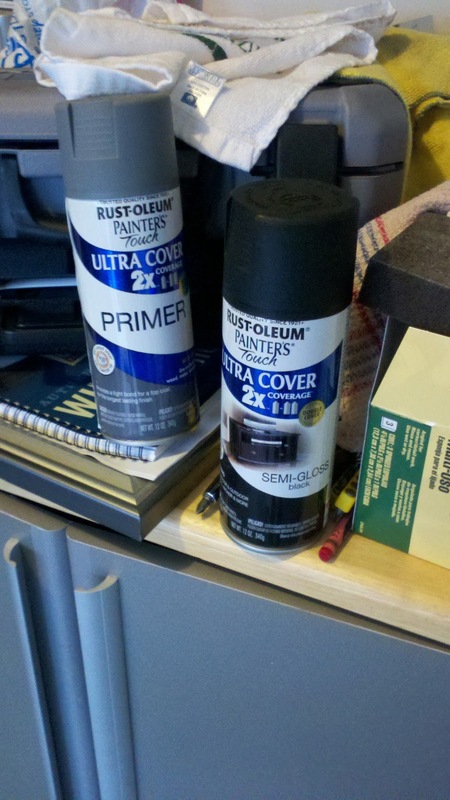 The cushions were stained and disgusting, and I thought it would modernize them a little to paint them black. 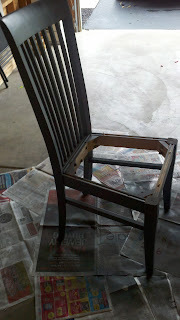 It was actually quite simple. 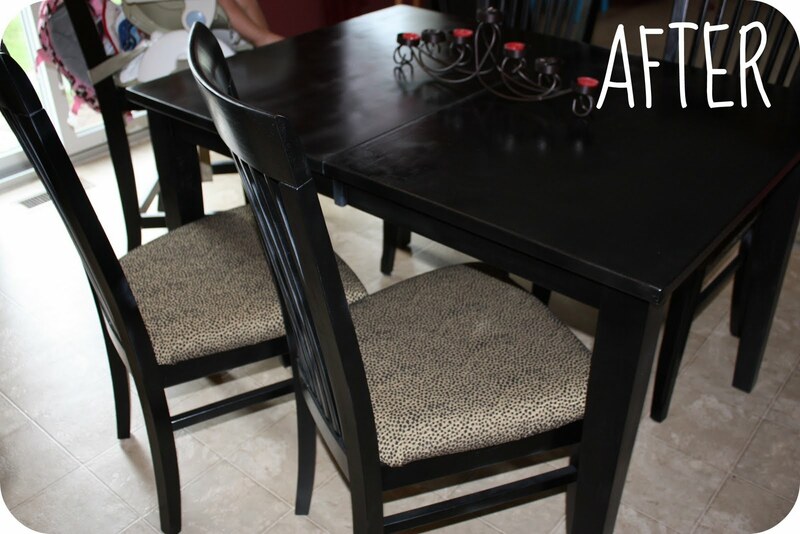 I spray-primed and painted the chairs, re-upholstered them, and my husband helped paint the table (which ended up being a little more work than we anticipated thanks to a suprising "wrinkling" effect the spray paint began doing at the very last coat).